Samsung has just given us a convincing example for why virtual reality could one day be an enormous hit. Virtual reality is undeniably cool, but so far it has been limited to mundane activities like playing video games and watching 3-D movies. But in a YouTube video released on Saturday (and, let's face it, a PR stunt for its Gear VR technology), Samsung demonstrated the first live-streamed virtual reality birth. Samsung (SSNLF) worked with Jason and Alison Larke of Perth, Australia, who on February 20 give birth to their third son, Steele. But Jason wasn't present for the birth -- he had to work in Chinchilla, Australia, that day, which is 2,500 miles away. Instead, Samsung set up a 360-degree camera in the delivery room and equipped Jason with a Gear VR headset. When Jason moved his head, he could peer around the room in real time. When Steele was born, he was able to watch the birth live and in 3-D.
"Jace was able to see our son born and experience the birth as if he was in the room with me," Alison said in a statement. Arno Lenior, Samsung's marketing chief, said the demonstration was intended to show "the potential of virtual reality and how this unique technology can address real challenges people face every day." Virtual reality is one of the hottest new technologies that Silicon Valley companies are investing in. 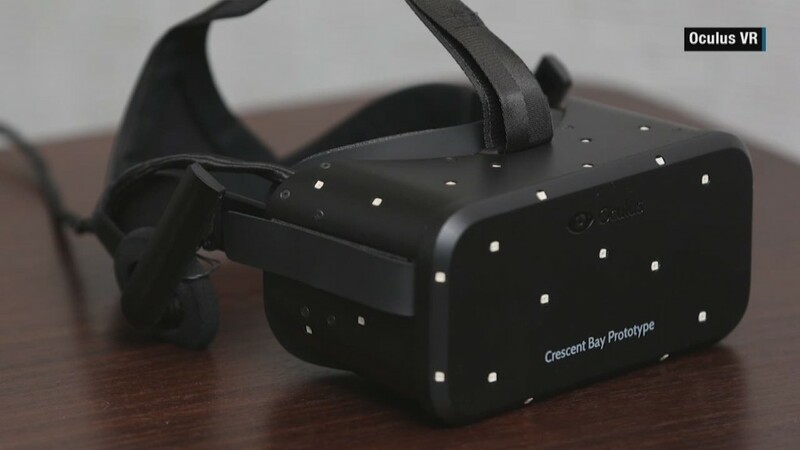 Hoping it will become the "next big thing," Samsung, Facebook (FB), Google (GOOGL), Sony (SNE), Microsoft (MSFT), HTC and many others have unveiled their various virtual reality solutions. Each has a different take on what will make virtual reality useful. Microsoft's HoloLens can let a plumber show you how to fix a leak without paying you a visit. Facebook's Oculus lets you interact with video games' virtual worlds. Google lets you cheaply and easily turn your Android phone into a virtual reality headset or even a Mattel (MAT) View-Master. But there's something that's particularly touching about Samsung's story about the Larkes. Perhaps one day, virtual reality will enable us to "be present" at important events we otherwise wouldn't be able to attend.